Or, Unable to connect an Active Directory Domain Controller while domain joining. 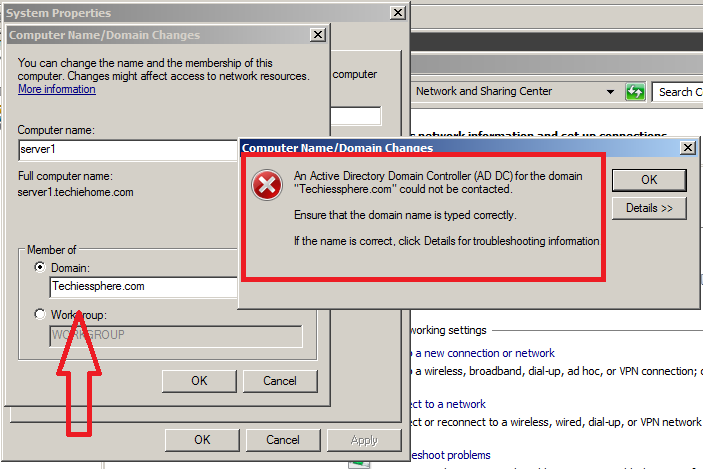 Many of us we face this kind of error’s in our day to day IT Operation Services. 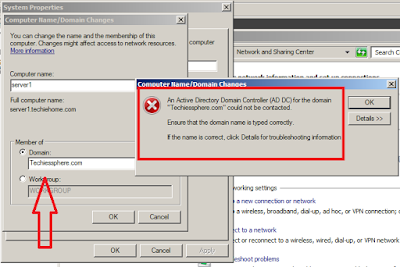 There are many reasons for this error like, network Connectivity, Wrong VLAN, Wrong Domain Name, Domain is Down etc. So Today I will take you to one of the reason of this error. 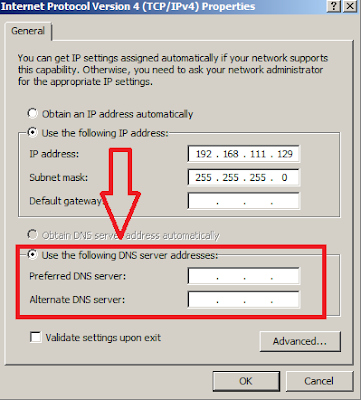 Reason/Solution: I have investigated and Found one reason, I am able to ping IP address but when I am trying to ping with Domain name” Request Timed Out” error coming and host IP address is configured manually. So I checked and Found IP address details for DNS Server is not mentioned. 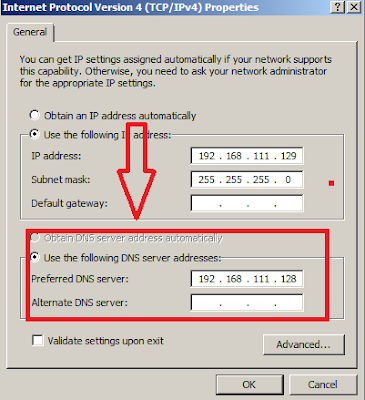 So Now I have given DNS Server IP Address. 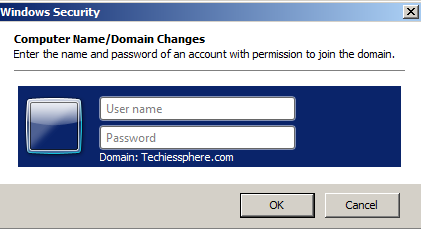 So Domain name is now reachable I can Join that server in domain now. Only Domain Admin user id and password required to join into “Techiessphere.com” Domain.